MOAB, UTAH - JUL 2015: Arches National Park Moab Utah drive POV 4K. Driving through desert point of view. 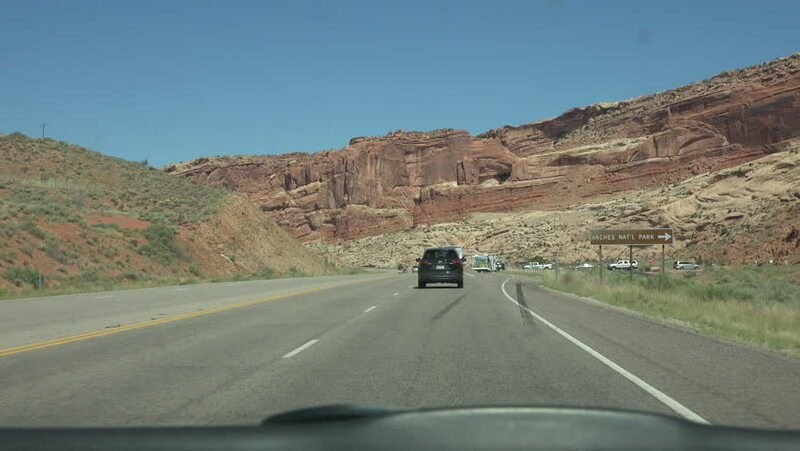 Famous for red rock scenic landmark and recreation. 2,000 natural sandstone arches. 4k00:07Driving on a Freeway with a Mountain View. 4k00:16Roads in Death Valley National Park, California. 4k00:08The road to Valley of Fire in Nevada, USA. 4k00:28SAN RAFAEL DESERT, UTAH - JULY 2015: Point of View looking forward while driving the San Rafael desert of Utah following a summer rain as night starts to fall.